Meet Virginia Rose! Rose is thought to have been with a backyard breeder for most of her young life. She is a very sweet girl, full of pep and energy, who is making good progress on her manners. She gets along with other dogs, is housetrained, and tolerates a crate, though it is not her favorite place to be. She wants to be with people and is very happy to be on someone's lap. She is a people-loving girl but does need a little time to feel comfortable with new people and new situations. She can be a little bossy with other dogs. It is preferred that her new home be within 100 miles of central Delaware. Update January 2016-- Rose is now recovering from a back episode. She has a wobbly walk, and is having acupuncture treatments to strengthen her legs and back. We are optimistic that she will continue to progress under the care of her holistic veterinarian. Rose will be available to join the right family in the near future. Feel free to email her foster mom with any questions. She has remained sweet with her people even with all she has been through to regain her health, and would love a home and family of her own. We are looking for a quiet family with some dachshund experience so Rose doesn't stress her back trying to keep up with other bouncy dogs. Someone with experience with doxie back issues would be a bonus for Rose. Update October 2016-- Rose wobbles along, she can walk and run and has had no further setbacks with her back. She still should have a doxie-savvy home that is on the quiet side. She has been patiently waiting and has gotten through her health challenges so she really deserves a family to call her own. Update December 2017-- Rose continues to be stable with no further back episodes. She is no longer receiving treatment for her back injury but while she is stable, she is not normal in terms of her gait or her bowel and bladder control. She gets around quite well in her own way and has bowel and bladder control, just not 100% of the time. While her foster family and DRNA are thrilled with Rose's significant amount of progress, potential adopters need to be aware that she does have a partial permanent disability. Rose also is an alpha female and needs a home with dachshund experience that will be able to manage her takeover tendencies. 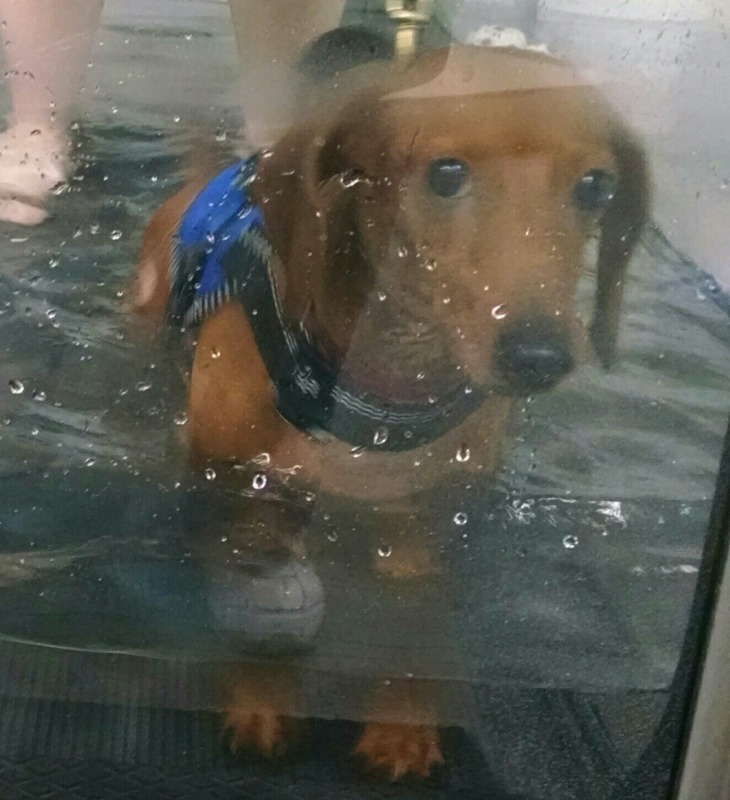 For the right home however, Rose is a sassy doxie joy! Update December 2018--Rose has not found her home yet because her back injury left the nerves to her bladder and bowel injured in such a way that she is incontinent of both urine and stool about 50% of the time. Expressing her bladder and bowel a few times a day helps. She is a great dog and companion otherwise so please don't rule her out as an addition to your family based on her disability. If you think you can manage her special needs by all means complete an application and learn more about her. 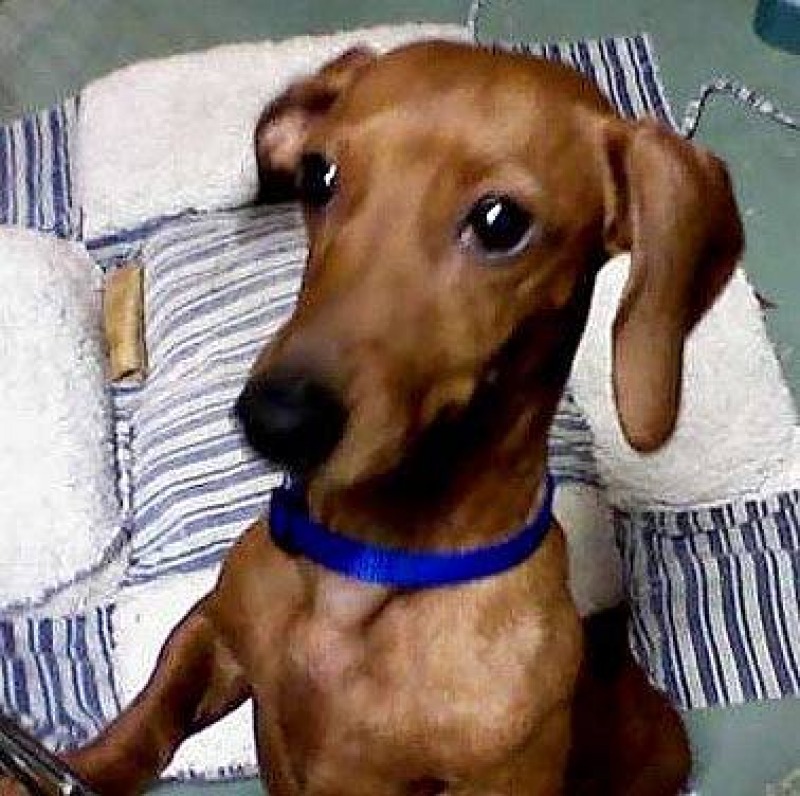 Rose certainly deserves a home of her own just like the other dachshunds who are waiting. She has been a real trooper through all her health challenges and maintains a good temperament and happy disposition. We should all be as accepting of our challenges in life as Rose is! Rose's adoption fee has been waived due to her special needs status.